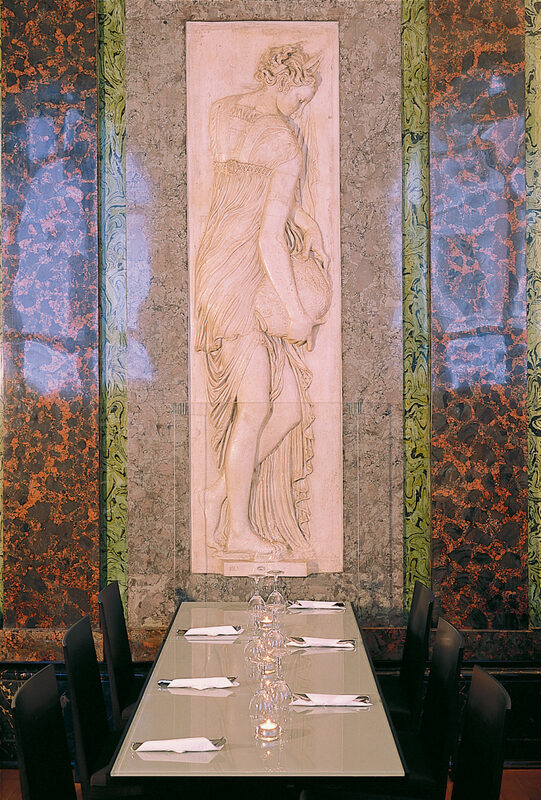 When designing the café in the French Hall of the National Gallery in Oslo, the beautiful Stucco marble walls and plaster casts, which were a gift from the French State in 1924 were uncovered and restored. 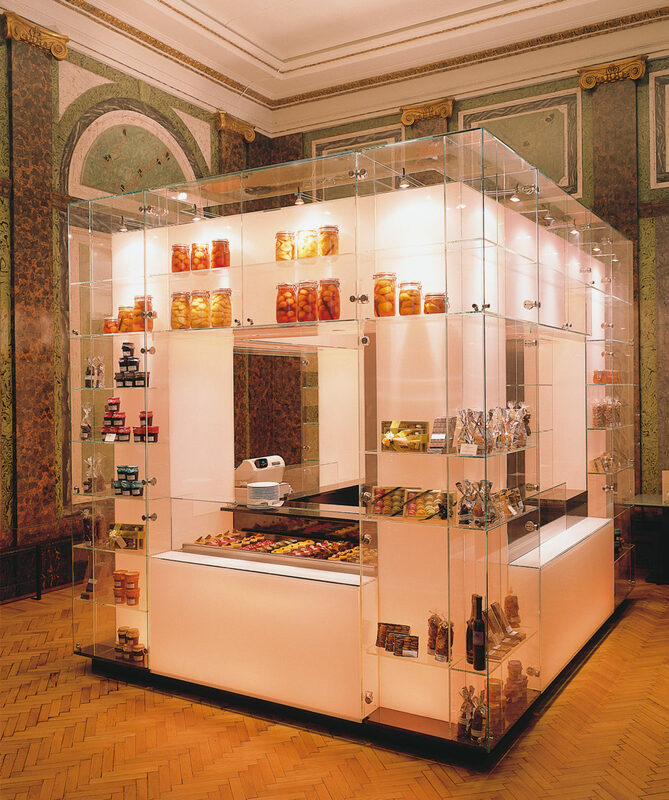 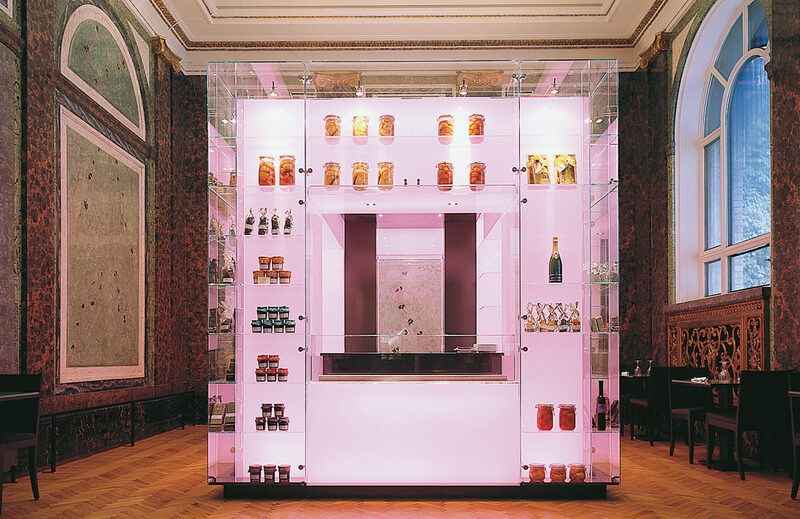 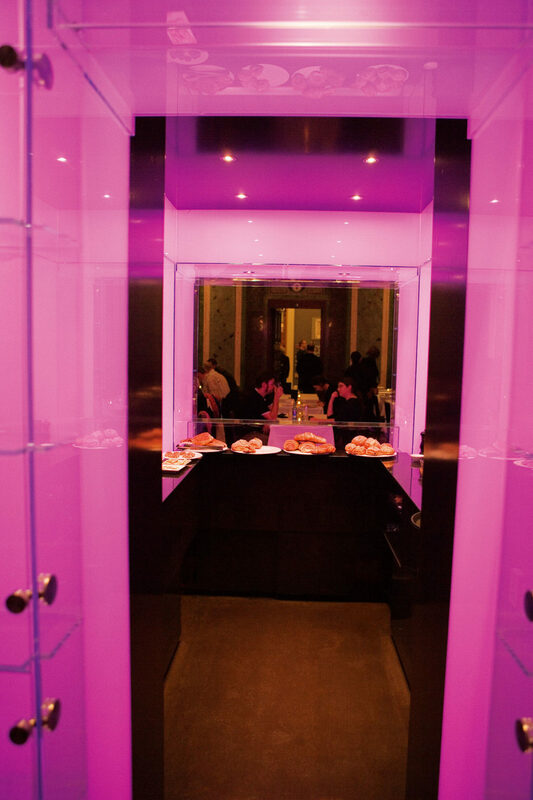 To avoid any major alterations to the hall, the kitchen was placed in an adjacent room and a central freestanding “temple” was constructed of multiple glass layers, both transparent and translucent with integrated shelves for display and built-in LED coloured lighting. 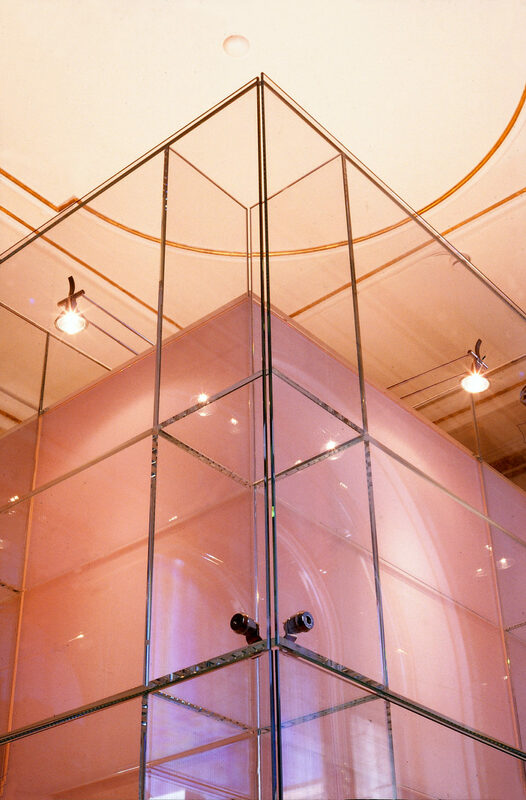 The “temple” also incorporates the hall’s ventilation system. 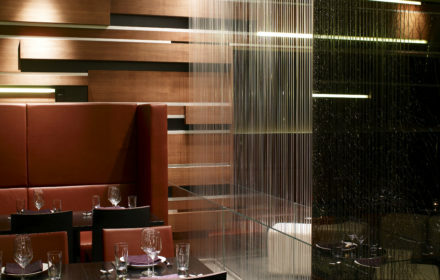 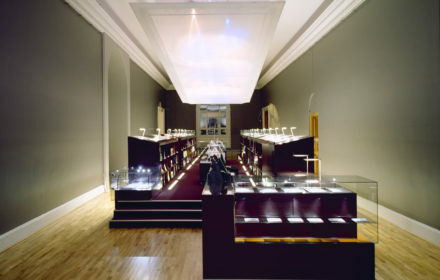 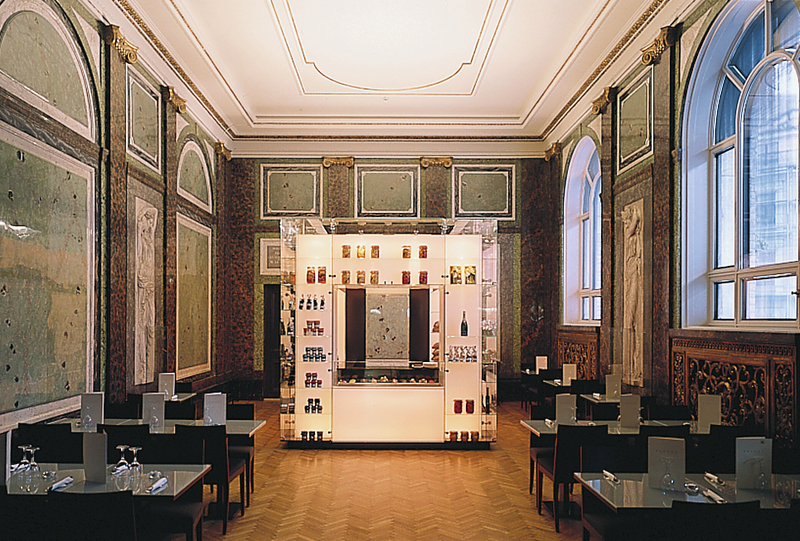 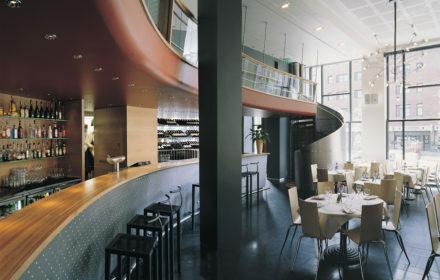 The Café at the National Gallery received honourable mention in The Norwegian Lighting Award, 2003.